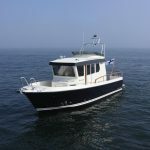 New for 2018, the 27.2 replaces the previous 27.1 model. 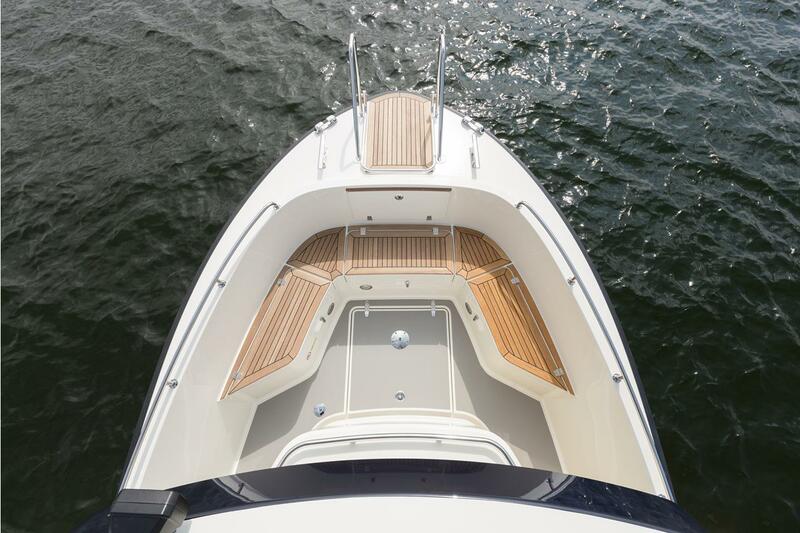 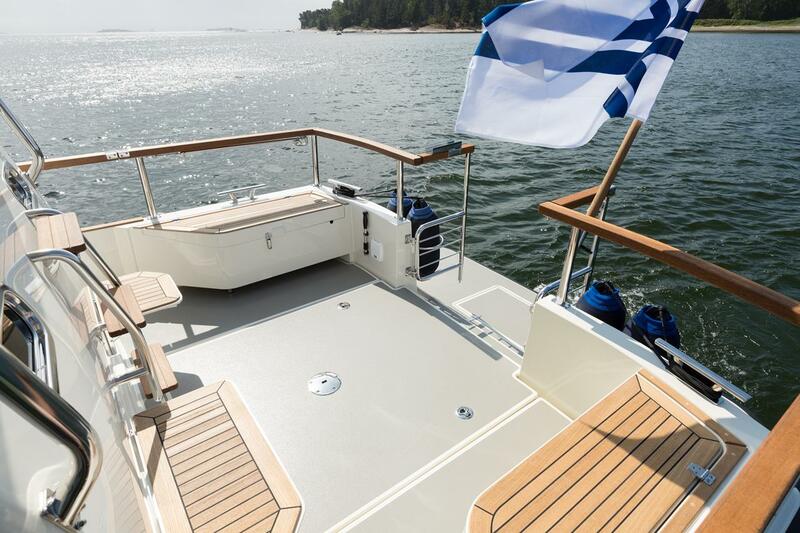 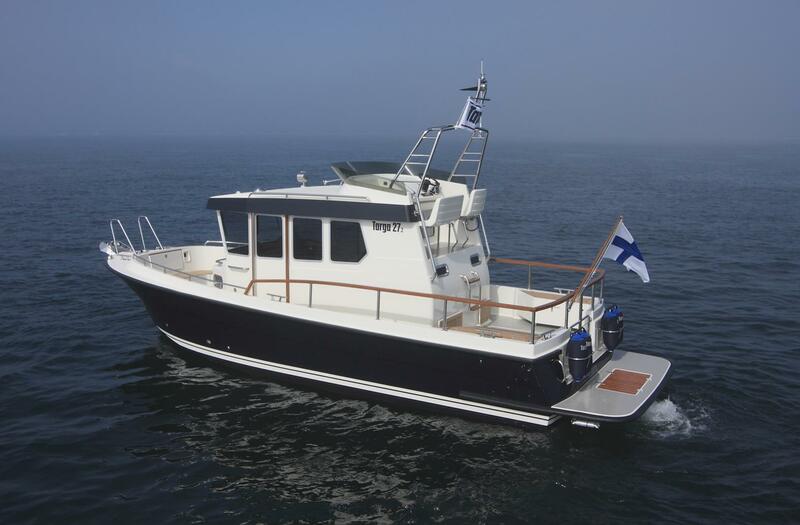 Since its launch in 2003, over 400 Targa 27.1’s were built making it Botnia’s most successful ever model. 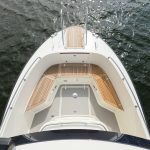 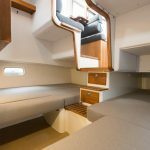 The all-new and bigger 27.2 builds on all the best attributes of its predecessor with enhanced interior comfort, latest styling updates as well as further improved performance and sea-keeping. 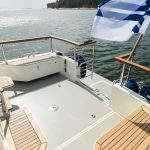 Practicality and ease-of-use are key criteria in the 27.2’s design, with it’s combination of compact size and safe walkaround decks offering owners complete confidence in a variety of environments, especially when single-handing. 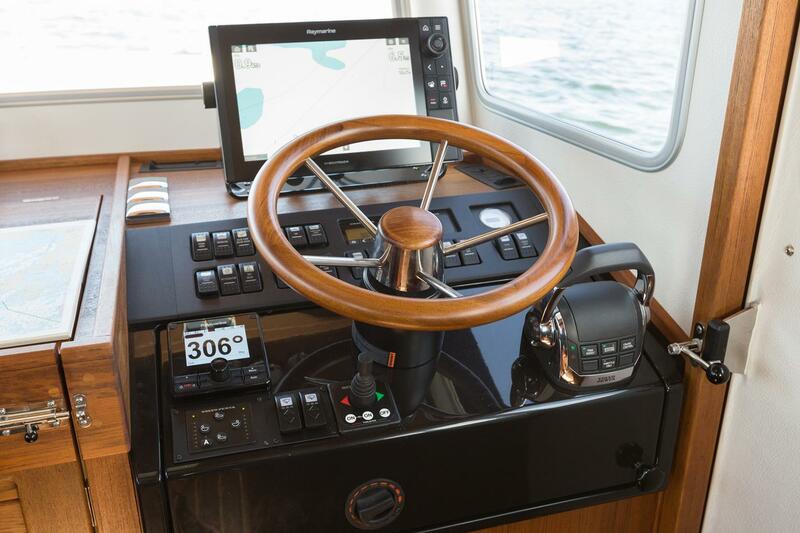 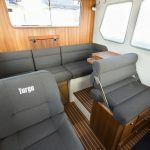 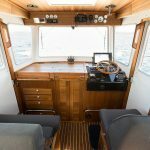 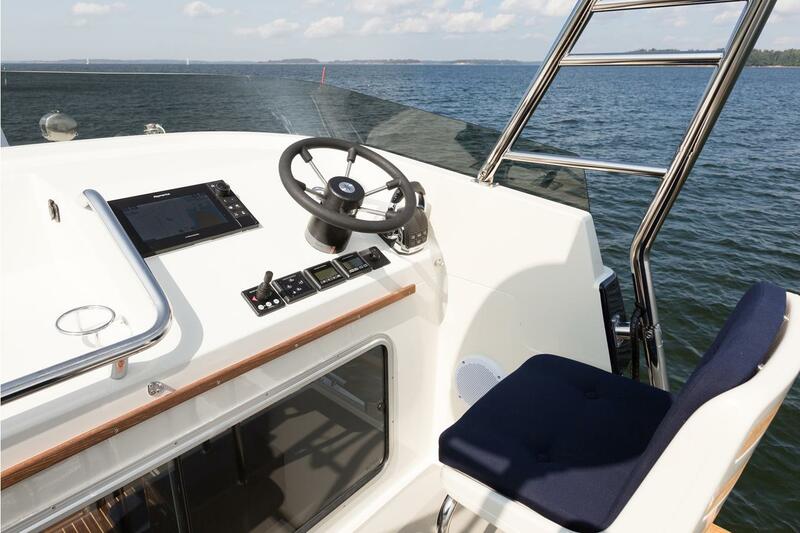 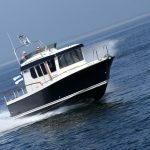 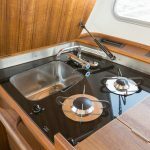 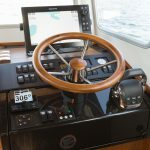 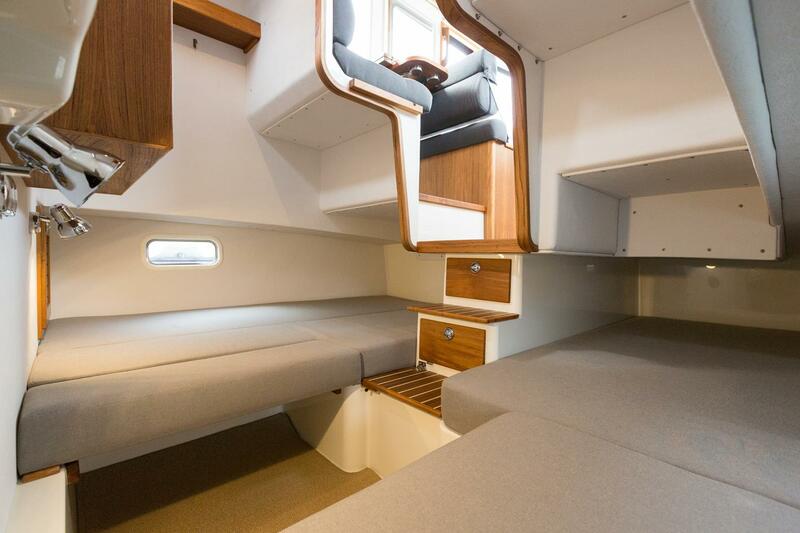 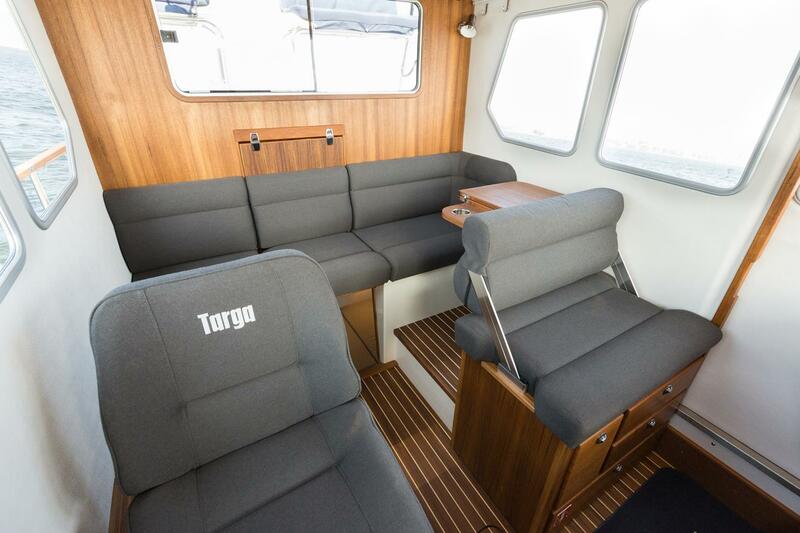 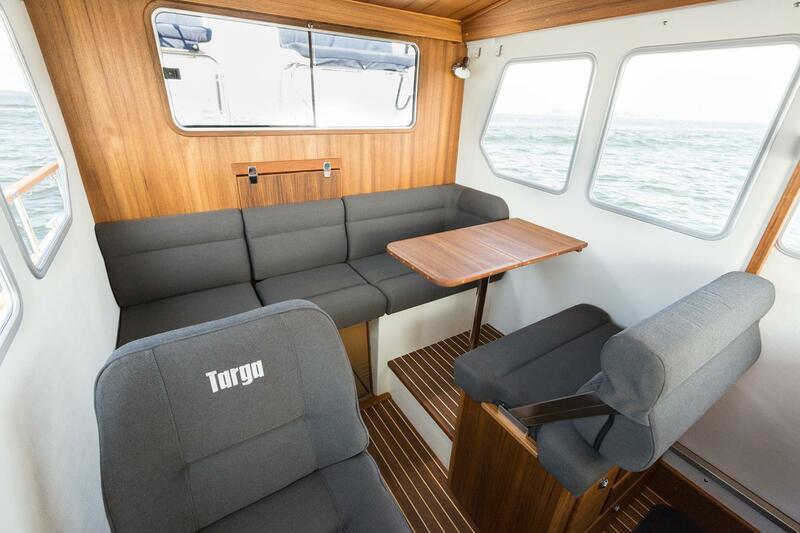 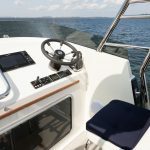 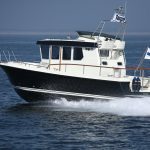 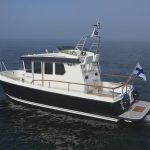 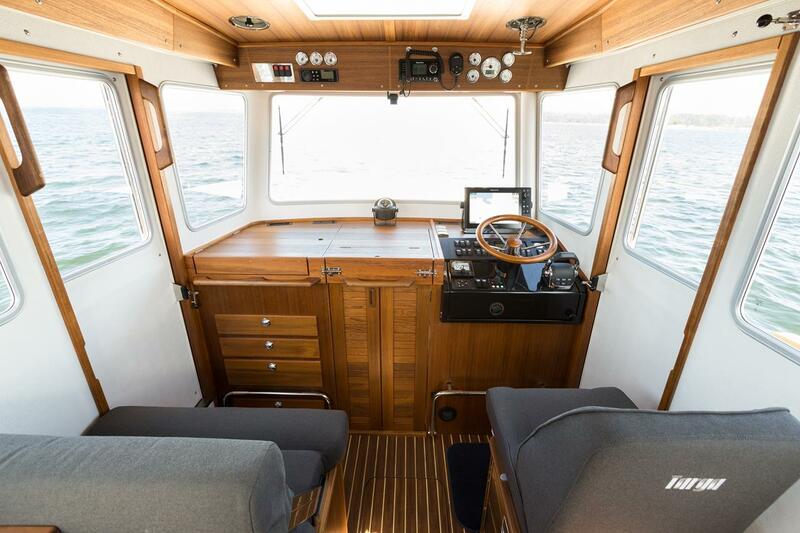 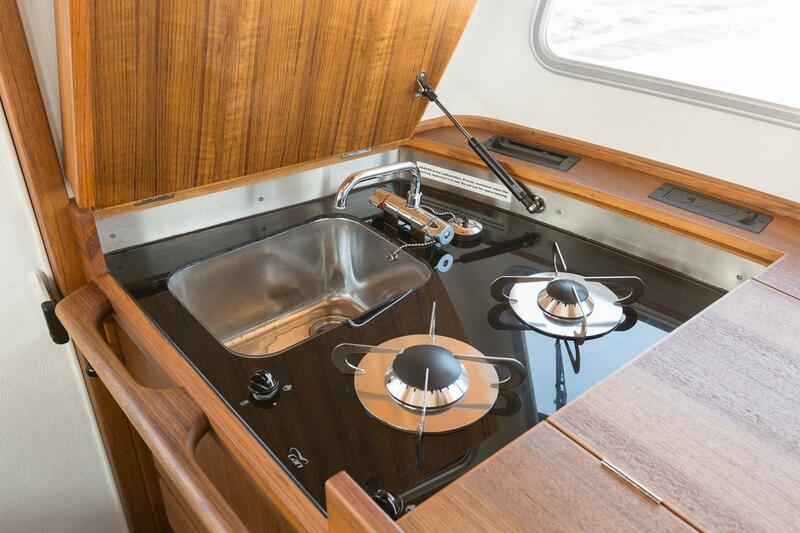 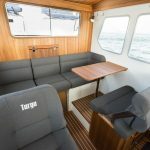 The functional pilothouse is smartly furnished, leading down to a comfortable aft cabin with generous double berth and double length single berth to one side. 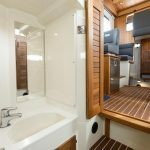 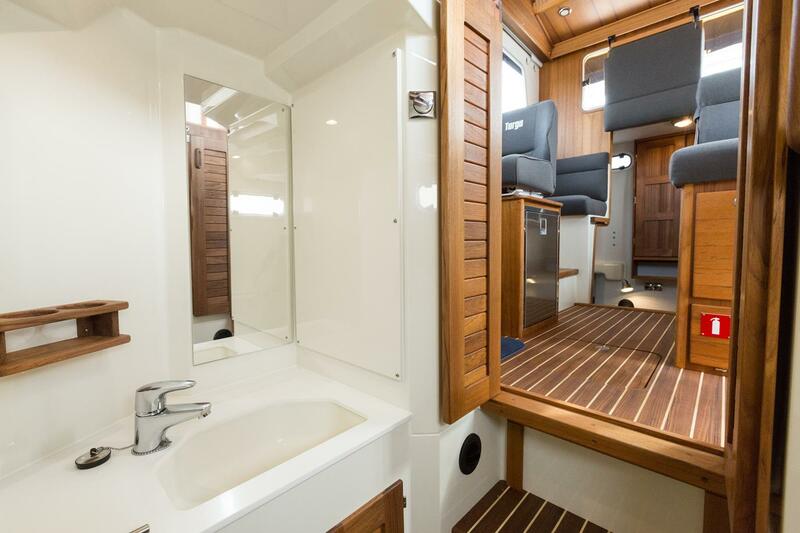 There is a separate toilet/shower compartment forward, accessed from inside the wheelhouse. 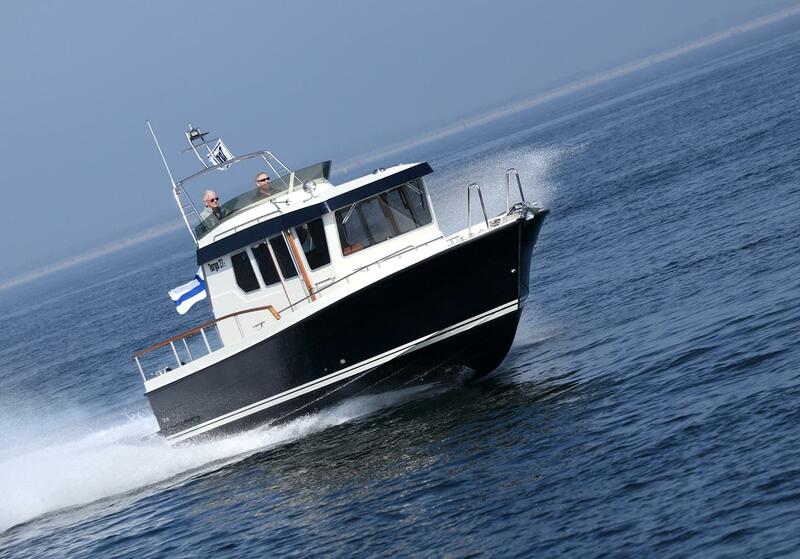 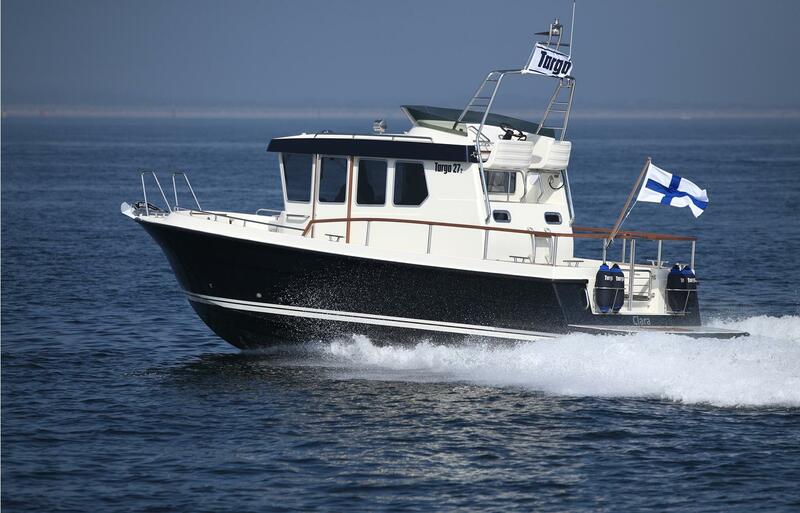 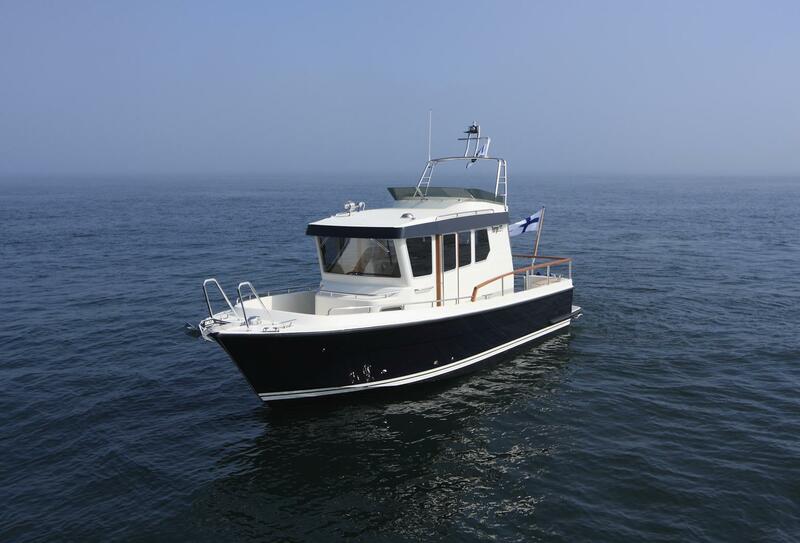 Single diesel propulsion up to 400hp offers both strong performance and economical cruising.